I recently got a large order, which was oodles of fun to fill. 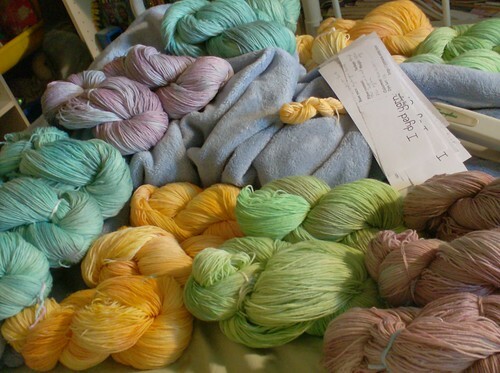 20 skeins of sock yarn, 5 skeins each of 4 yummy semisolid colors, including two all-new colorways. Beautiful colors! I'd love to see what someone makes when they buy that lovely yarn.